From an earthling’s perspective, I must first say that the title, “The Martian,” is very misleading. 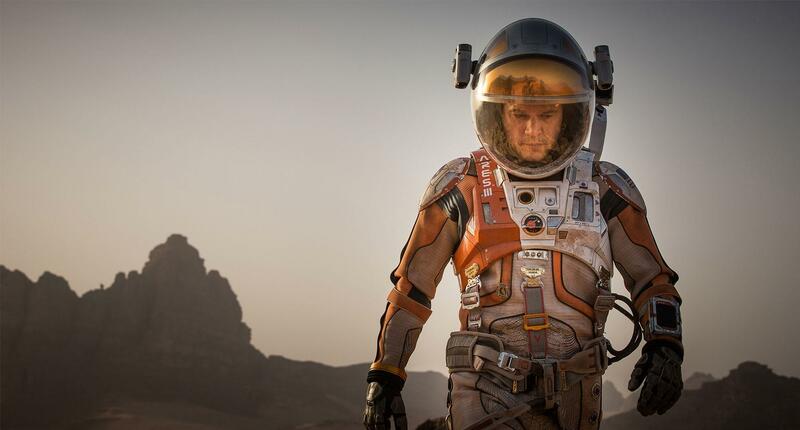 You do not expect actor Matt Damon in a spacesuit as a Martian unlike an actual inhumane, creepy alien from Mars. It is, after all, common sense for a Martian to be related to Mars as a Canadian is from Canada, but then… tomato, to-maht-o. Now before I type a word more, I fully understand “The Martian” is a novel-adaptation film originally written by Andy Weir and that it was not initially created by acclaimed director Ridley Scott. Yet this is a movie review, not a book review, so I recommend you to sit tight and continue reading on. 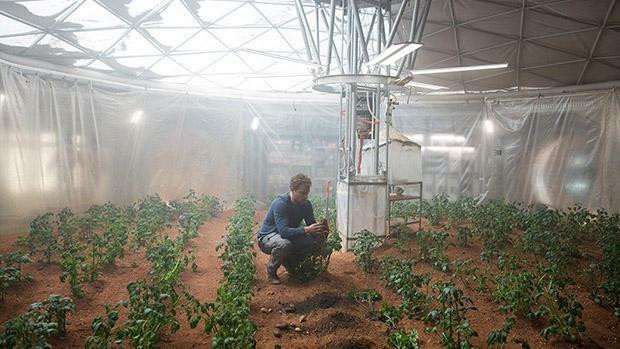 “The Martian” focuses on not man-eating aliens, but instead Mark Watney’s (Matt Damon), a NASA botanist, struggle for survival when he is stranded alone on Planet Mars after being hit by a flying object. The remaining members in his space crew are safe and head back to Earth, believing that Watney is dead. Nonetheless, Watney plans to find a way to contact NASA and survive the remaining days with limited resources a.k.a. food and water. The beginning half of the film switches back and forth between the situations that are happening on both Earth and Mars, while the latter shows Watney and NASA working together to try to get him home. My strong prejudice towards several of the cast members including Donald Grover, an American rapper and Kristen Wiig, a comedian, made me eerie before watching the film. However, not only did “The Martian” make me realize how brainless I am in creativity compared to actual scientists’ ideas, it also proved the incredibility of actresses and actors becoming so engrossed in their own roles. For instance, Jeff Daniels, a man who previously starred by Jim Carrey in the comedy movie, “Dumb and Dumber”, was now suddenly this intense, decision-making head of NASA. Irony much? An unnoticeable feature that could not be seen in “The Martian” itself, but from inside the theater was, surprisingly, the audience; it was if they too were taken in by the harsh reality of being alone. See, society jokes about having no social life and comparing ourselves to the daily teenage celebrities who live the glamorous lives of America. In this moment, we compared ourselves to Mark Watney, a fictional yet optimistic character. Phrases such as, “Kylie Jenner buys her friend a car. Why don’t I have any friends?” are laughed upon, yet Watney obliges to the limited connection he has with crewmates and NASA despite seven months isolated in Mars, The undeniable truth about Watney that put me to shame was when I, the viewer, had actually believed he had given up after his only source of survival, the vegetable crops Watney had grown, were destroyed. Damon had created such a vulnerable scene for only a few seconds where Watney thrashes about, shouting in the abyss because there is no one. Sometimes we humans base ourselves against those who are the better replica of us so that we can perceive happiness from pity, being we cannot objectify against selfishness. All in all, “The Martian,” one of the most scientifically accurate space movies, was a great watch full of different components: tension, exhilaration, and Watney’s witty humor. It actually felt as if you were going through puberty, having to be attacked by such a gigantic ball of emotions. Even my mother, who rarely cries, was terribly sobbing at the ending. If you do not think science-fiction movies are your favorite, still give it a try. “The Martian” will reel you in from the beginning to the very finish, letting you go in time for yourself to loss over not being able to catch more of the closest sensation of Mars.